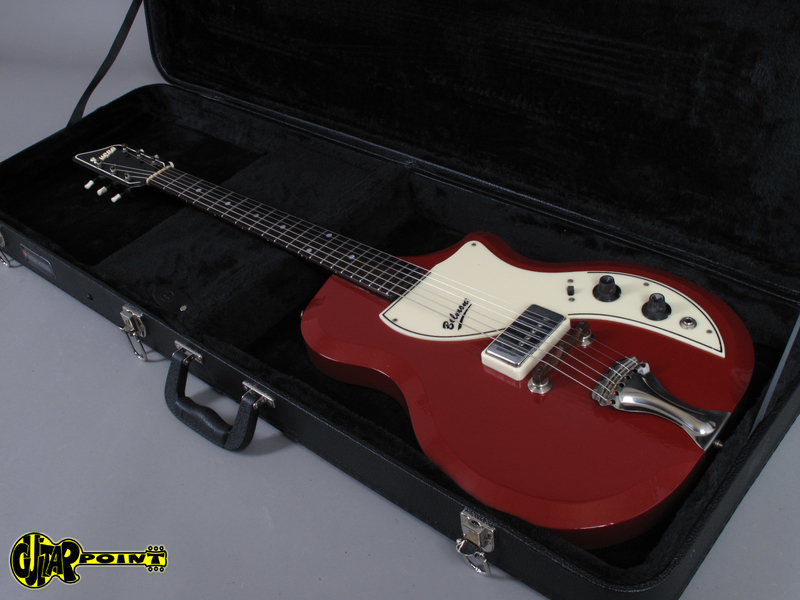 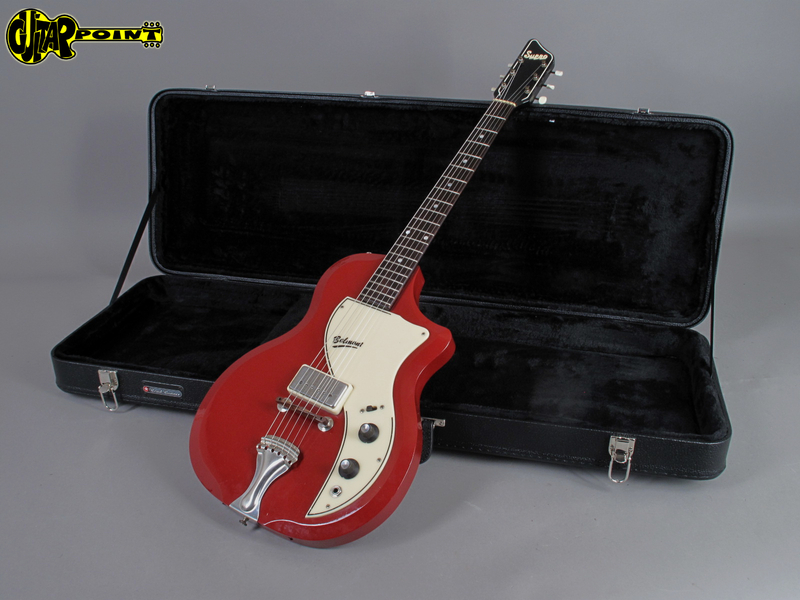 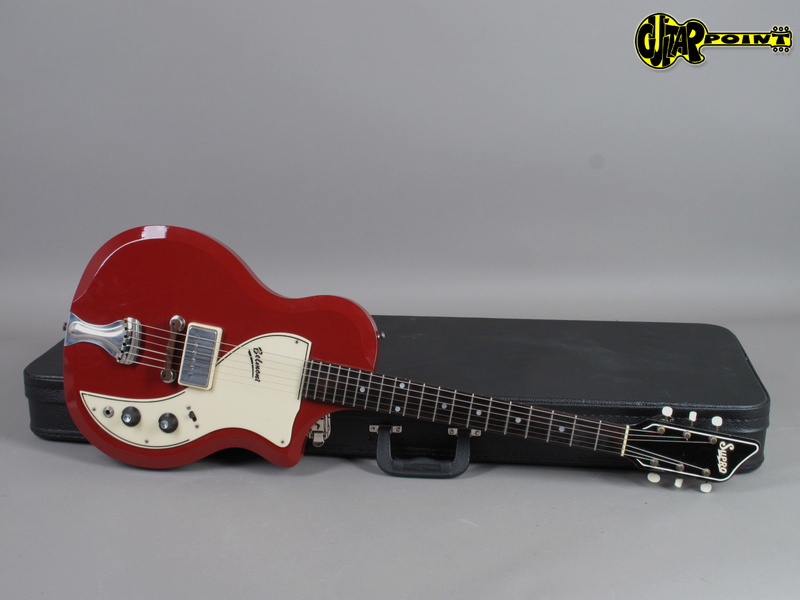 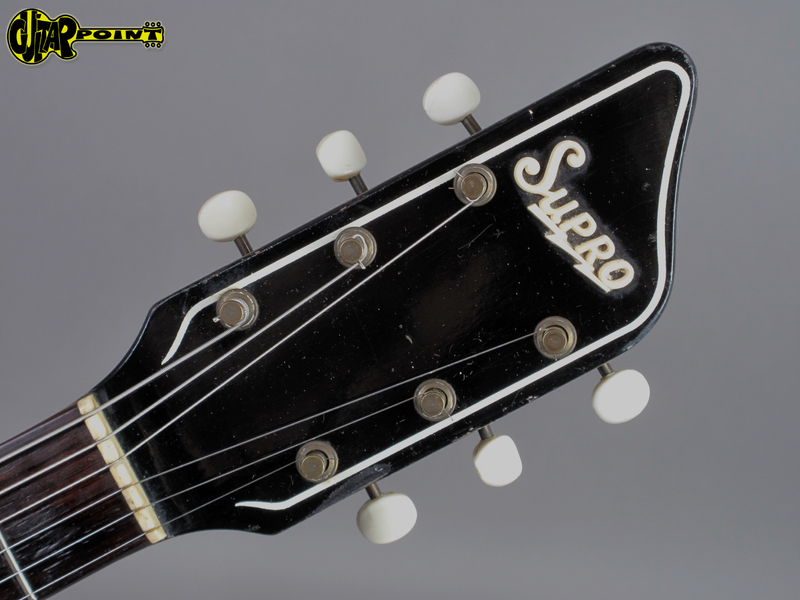 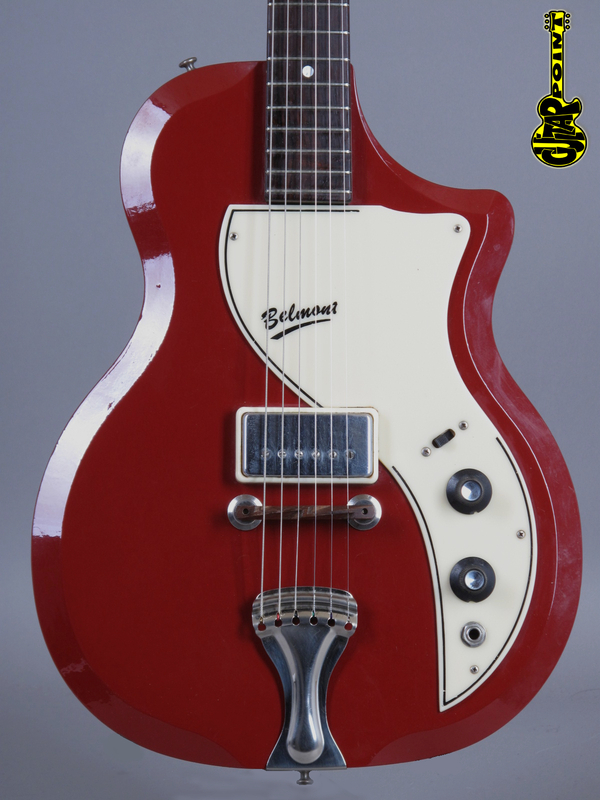 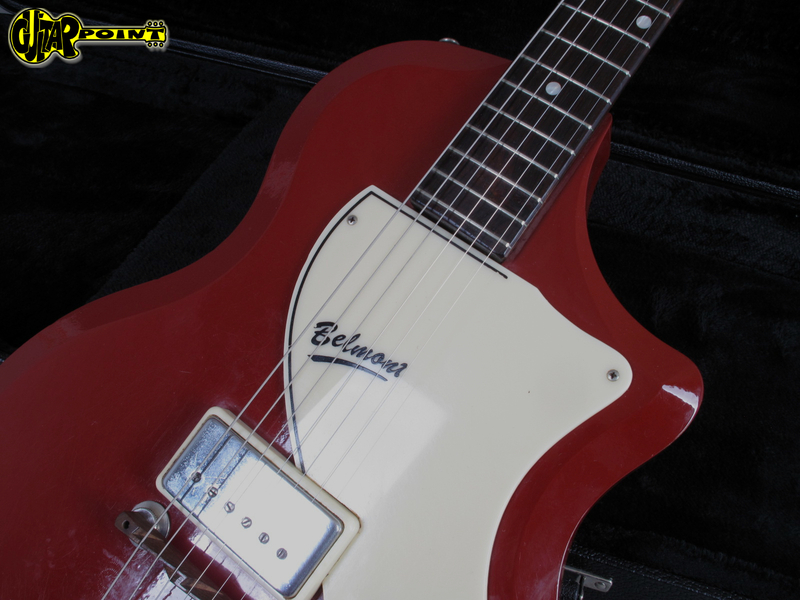 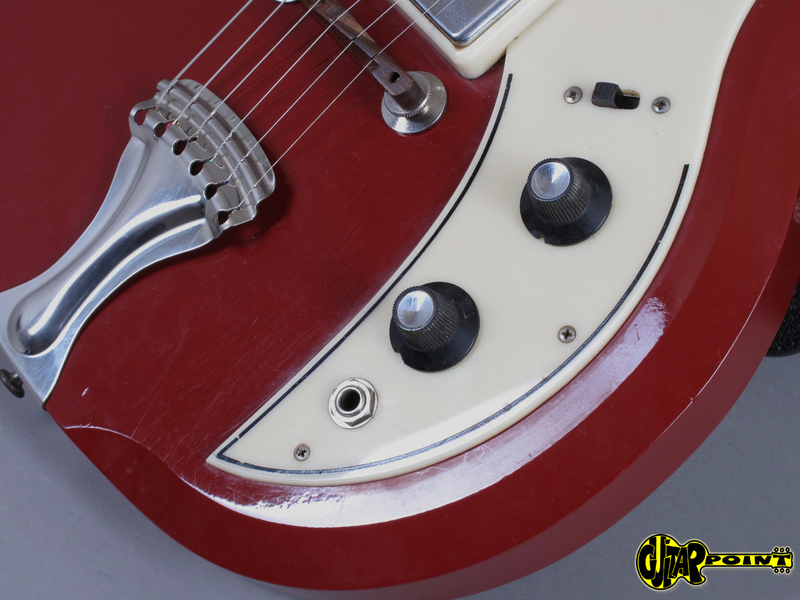 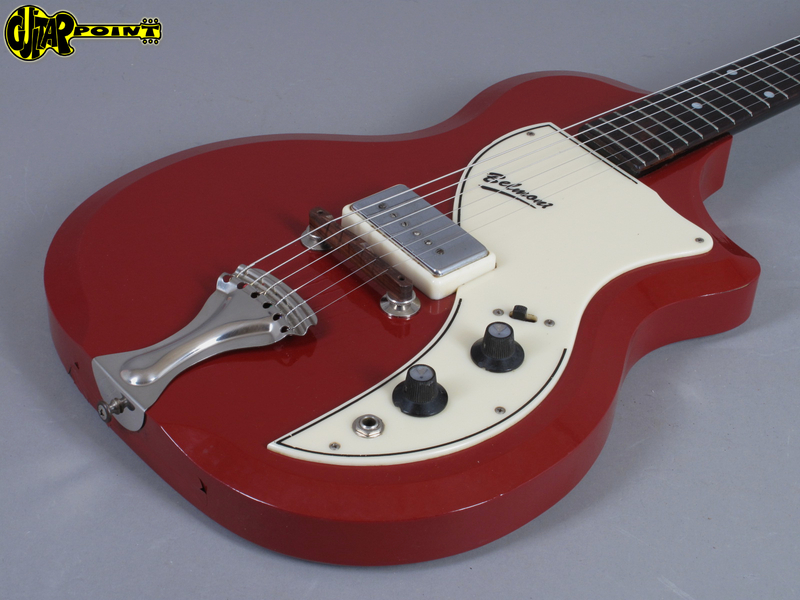 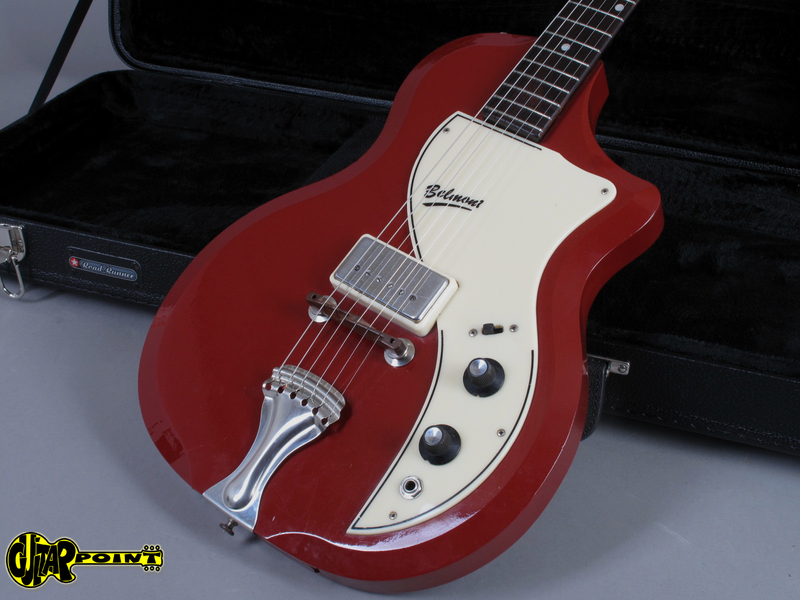 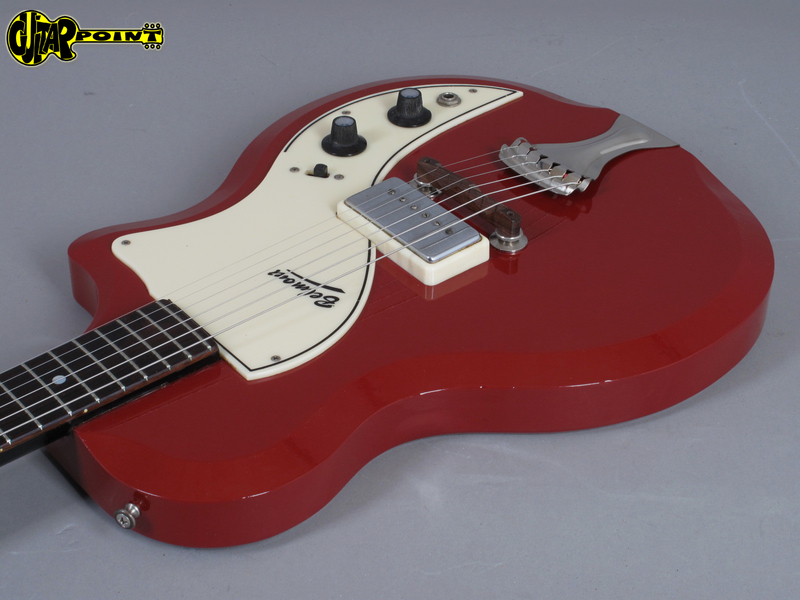 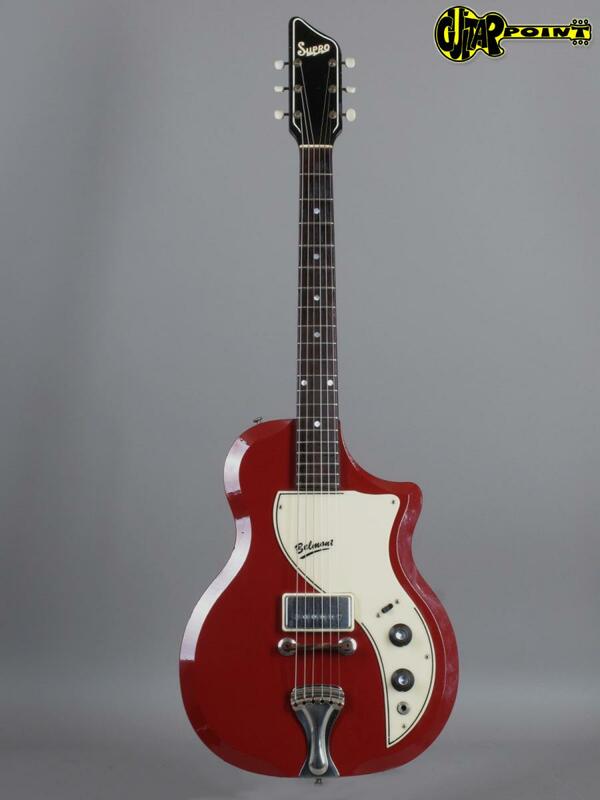 1961 Supro 1570 Belmont - Maroon (Made in USA)! 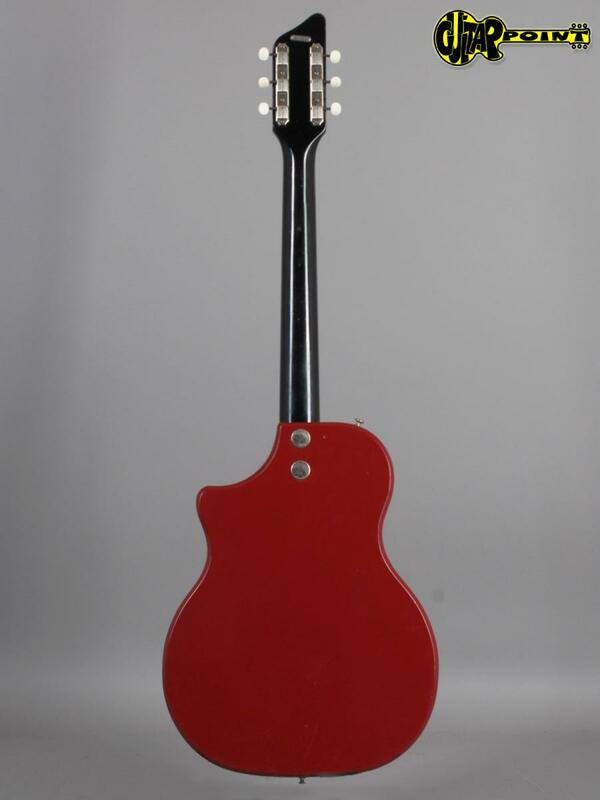 Built between 1955-1961, solid wood - single-cutaway body with bolt on neck. 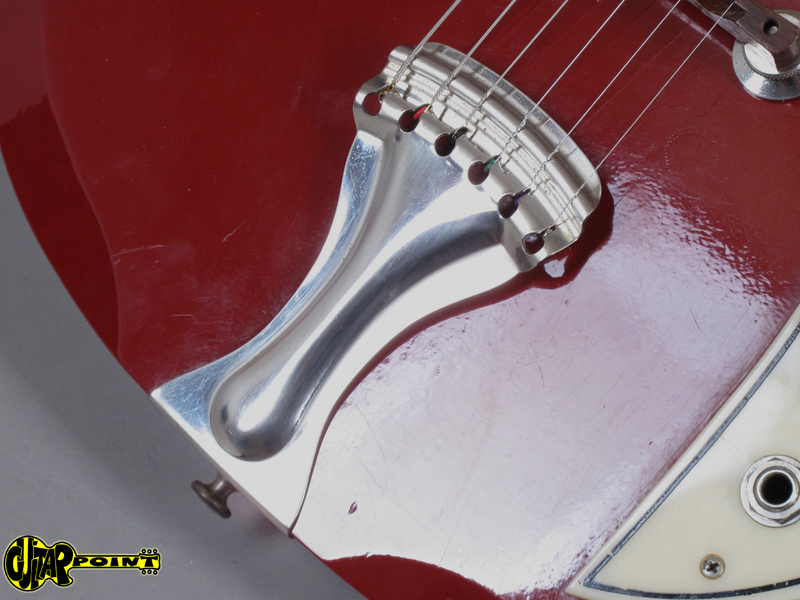 The body is covered in maroon "No mar plastic". 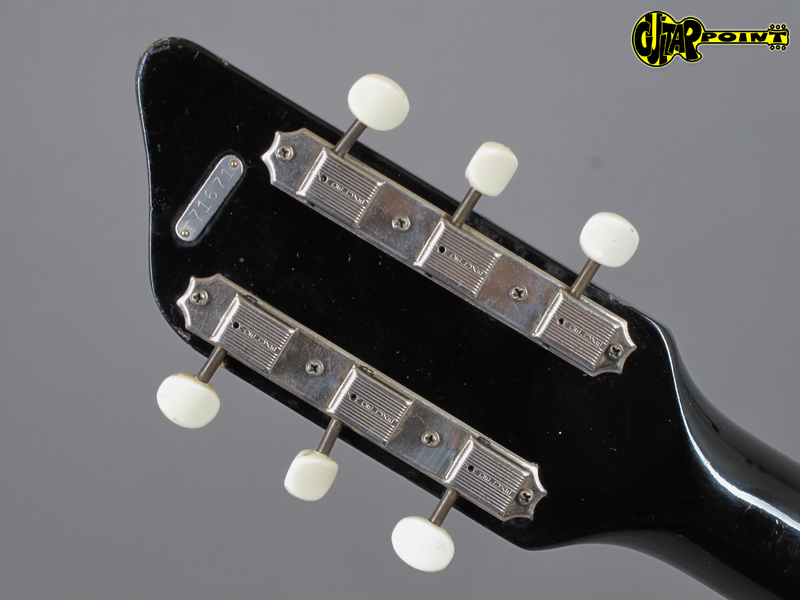 Great cond and all original, the lacquer layer peels off a bit on the bottom. 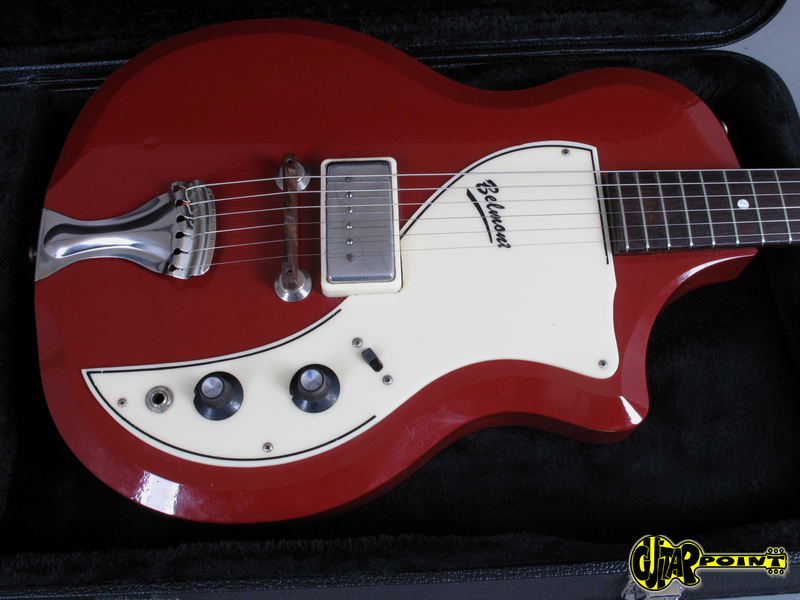 It's got a really big neck but it's very comfortable and give it more mass and tone. 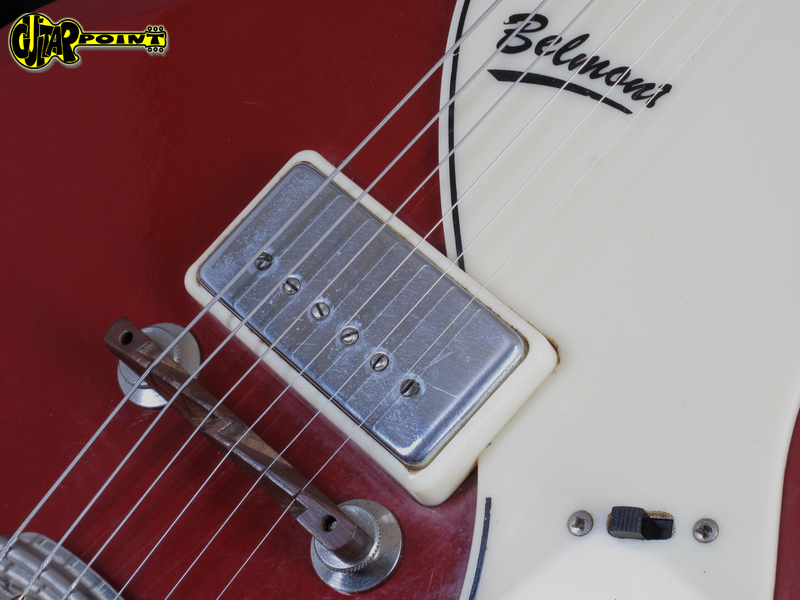 The bridge pickup really screames! 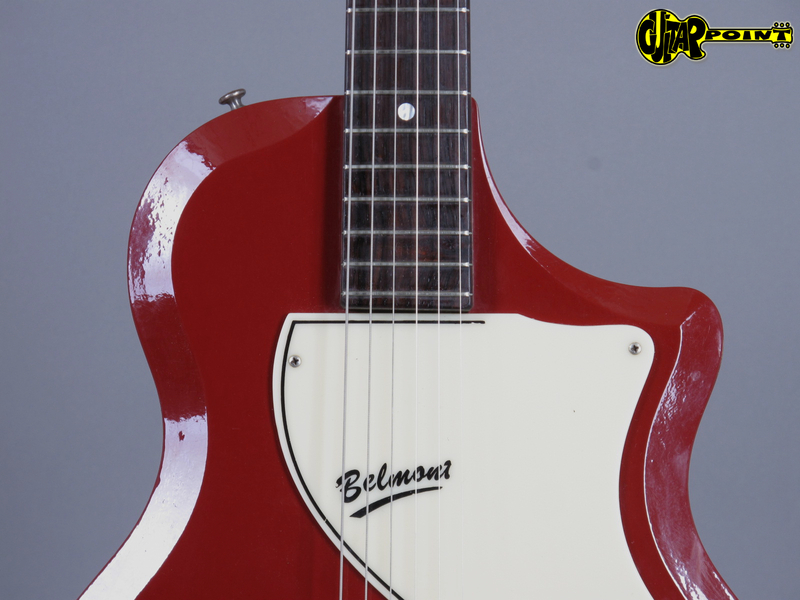 Really fun to play, cool looks and a simply a real rocker! 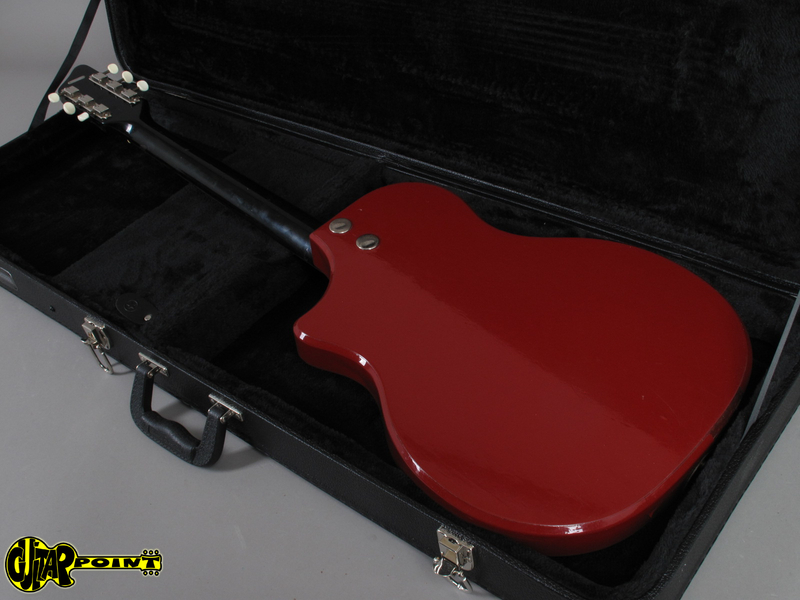 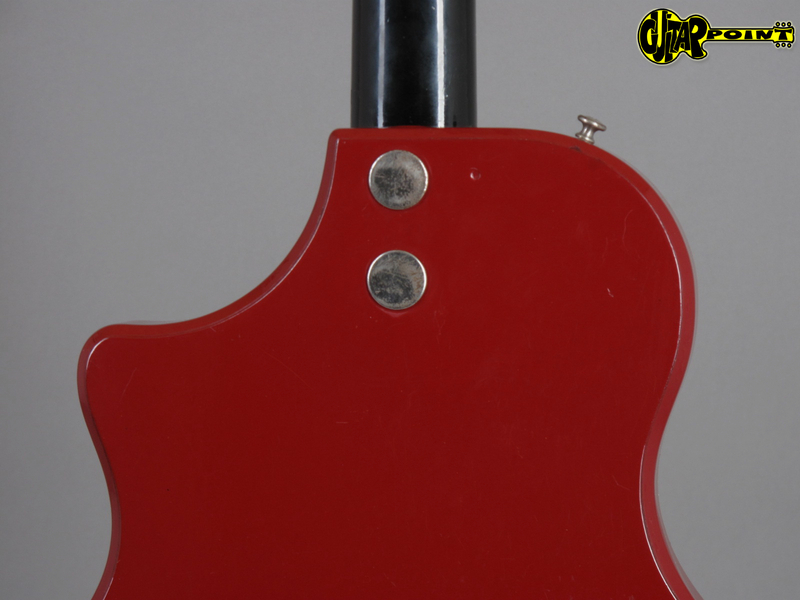 Comes in a non original hardshell case.